The LEXS is a parallel beam spectrometer (PBS) employing high collection optics (HCO), which enable the spectrometer to efficiently collect X-rays from 80 eV to 2.4 keV (Be K to S K). It is specifically designed for low energy X-ray microanalysis. – Intuitive and easy to use TEAM™ software. 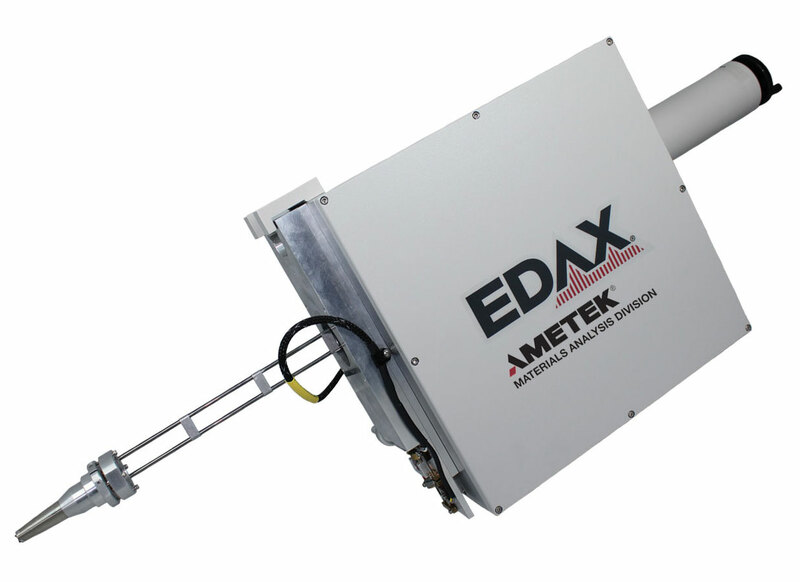 – Compact spectrometer design for easy installation on standard EDS ports. – Lightweight – 22 lbs (10 kg). – Standard with five diffractors optimized for any application. – Fitted with a set of X-ray mirrors to produce an intense parallel beam. – Optimized to cover low energy applications – ideal for excitation voltages of up to 5 keV. – Smart Focus routine automatically adjusts the sample position to focus the WDS signal and ensure the optimum performance of the spectrometer.